Reading and trusting. Posing and proving. 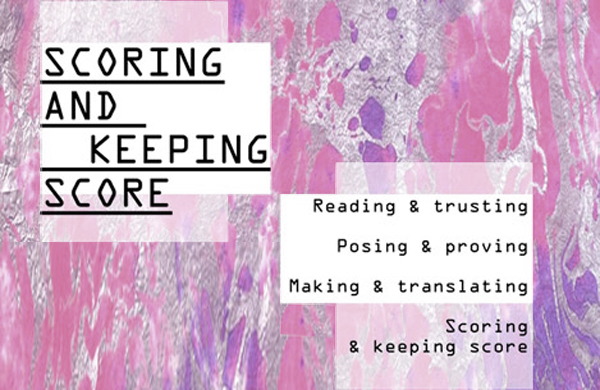 Making and translating. Scoring and Keeping Score. 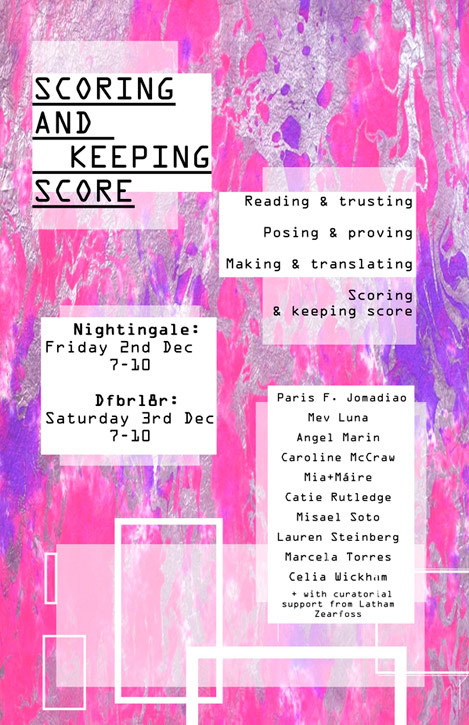 During two consecutive nights at two separate locations, The Nightingale Cinema and DFBRL8R, Scoring And Keeping Score presents video, performance, and interactive installations by ten Chicago-based artists responding to a world in which nothing seems to stick. By uncovering complicity and taking truth into their own hands, they accumulate mobility in iterations and find stability in constant motion. This event is in conjunction with a screening at The Nightingale Cinema on Friday, December 2nd, from 7-10pm.